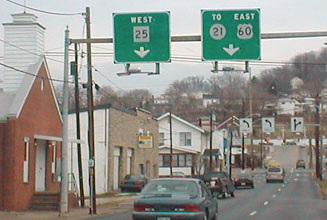 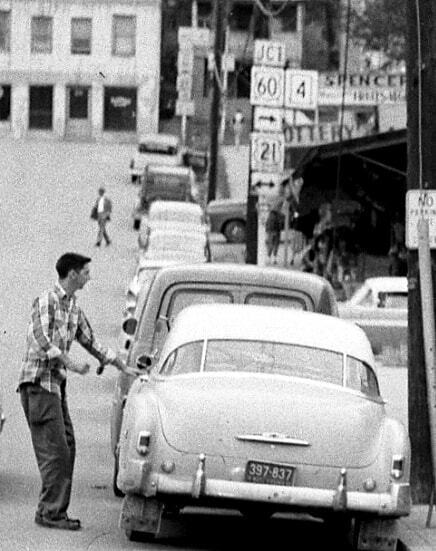 ​At the T-intersection in the distance, up the hill, US 60 turns right on Washington, which historically was also southbound US 21. 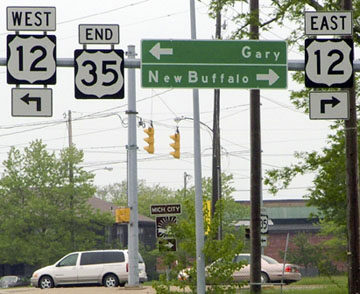 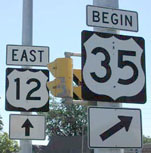 Northbound US 21 was to the left, and that may have been the south beginning of US 35 as well, at least for traffic on westbound Washington. 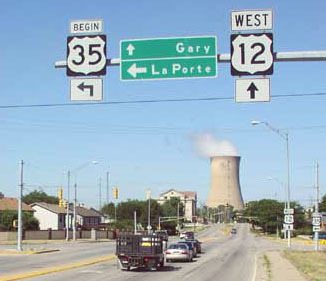 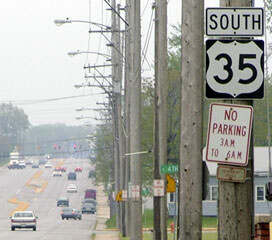 For traffic on northbound Patrick, US 35 may have turned to the left on 7th, just as WV hwy. 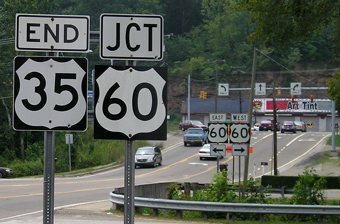 25 traffic is directed to do today. 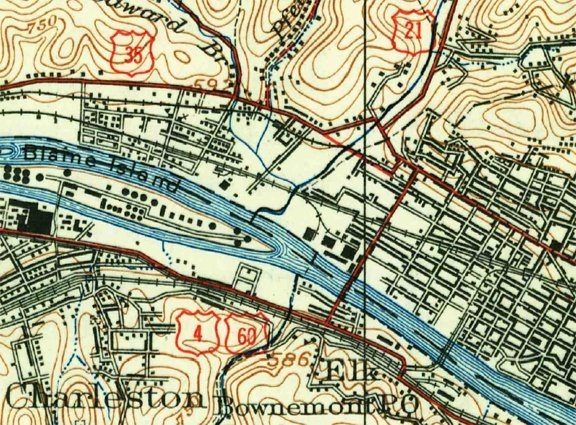 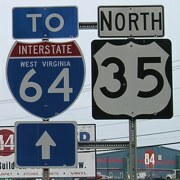 During this timeframe, the road along the south bank of the Kanawha was designated WV 17, but today US 35 is on a limited-access freeway in the Point Pleasant area, which crosses the Ohio River roughly between there and Gallipolis. 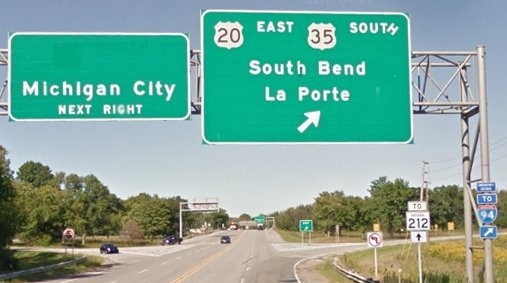 When that bridge was opened in 1970, US 35 was changed such that it stays on the south/west bank of the "kuh-NAW" (as locals pronounce the river), and partly for that reason it is no longer signed all the way into Charleston. 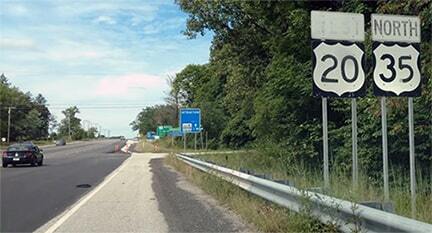 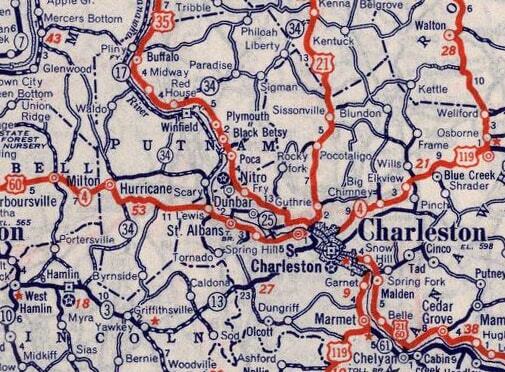 The road on the north bank is now WV 62 -- and US 21 no longer makes it as far north as Charleston. 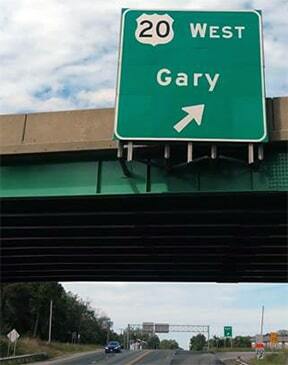 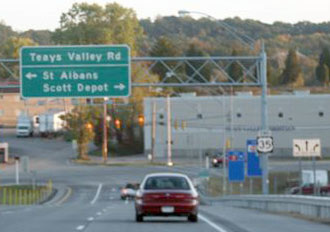 About three miles ahead is interchange 44. 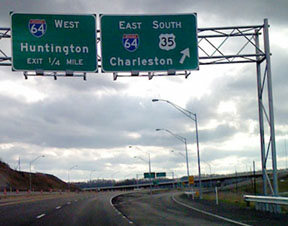 However, in October 2008 West Virginia sought and obtained approval from AASHTO to reroute the southernmost segment of US 35, so the highway has now been truncated even further out of Charleston, and it no longer passes through exit 44. 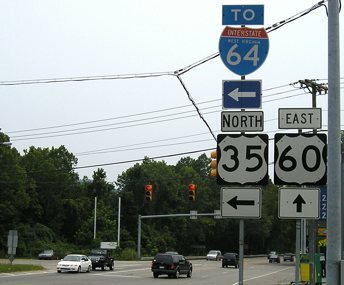 ​That was looking south on the new segment of US 35 -- traffic was initially directed to continue by using the flyover ramp to eastbound I-64. 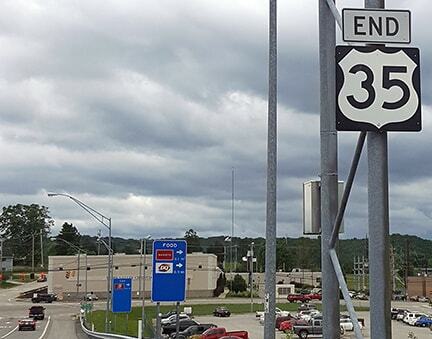 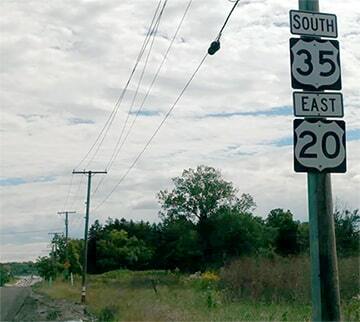 But now that US 35 has been truncated, it continues straight ahead through interchange 40, ending just beyond there.